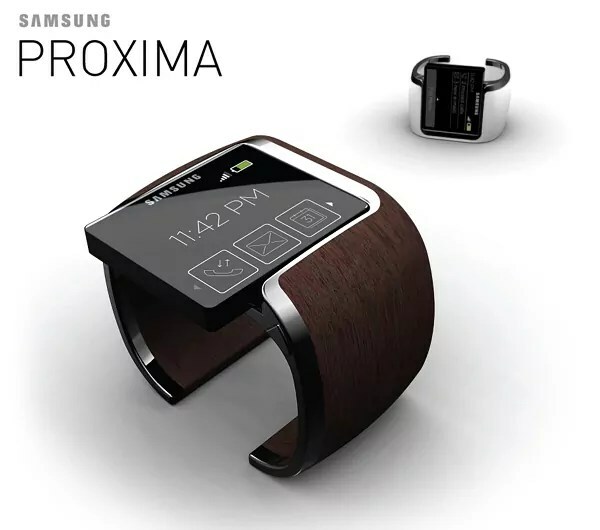 The Samsung Proxima is a concept design for a cellphone/LCD wristwatch. Of course, the idea behind it isn’t as simple as it first appears. The device comes with a proximity sensor so that owners will never lose their phones again.The Proxima’s sensor basically keeps the device with the wristband paired up and within a certain range. This guarantees that as long as you keep the wristband on, you won’t lose the phone.The proximity sensor, usefully, also allows owners of the Proxima to connect with each other by identifying other Proxima users. Of course, the phone detaches and unfolds to reveal the handset which features a full QWERTY messaging keyboard. Do reply me -what you think about this concept design. I just want to tell you that I am just very new to blogging and site-building and definitely savored you’re web page. Very likely I’m want to bookmark your blog . You certainly come with superb posts. With thanks for sharing your blog.